Product prices and availability are accurate as of 2019-04-24 04:19:13 UTC and are subject to change. Any price and availability information displayed on http://www.amazon.com/ at the time of purchase will apply to the purchase of this product. GREAT FOR EVERYDAY WEAR and ALL OCCASIONS: These colorful belts are perfect for any outfit. If they are going to school, birthday parties or family dinners, we have a color for all occasions. 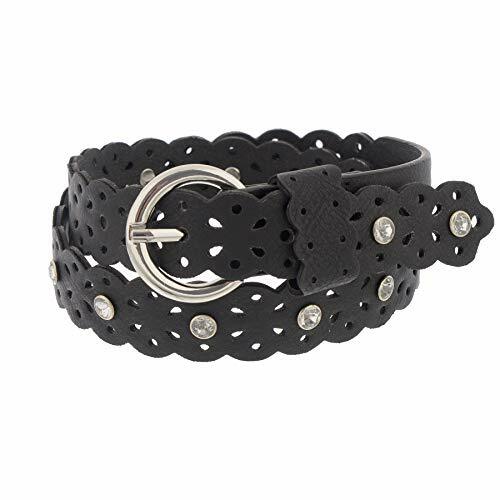 STYLISH BUCKLE: The round prong buckle really compliments this belts style and keeps the belt secure around their waste. PERFECT SIZING: 1" Belt Width so you know it'll easily fit in any pant loop without damaging the belt. No more hassling to try and make them fit. 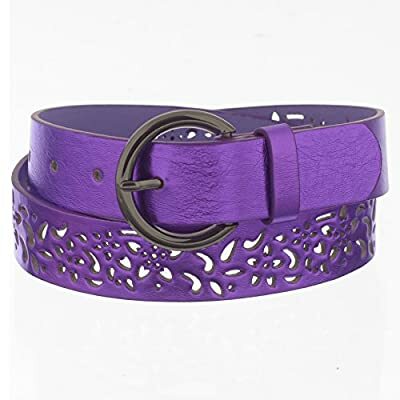 HIGH QUALITY PU LEATHER: These gorgeous girls belts are constructed of high quality PU Leather.